The icon of Royal Delft flower pyramid. 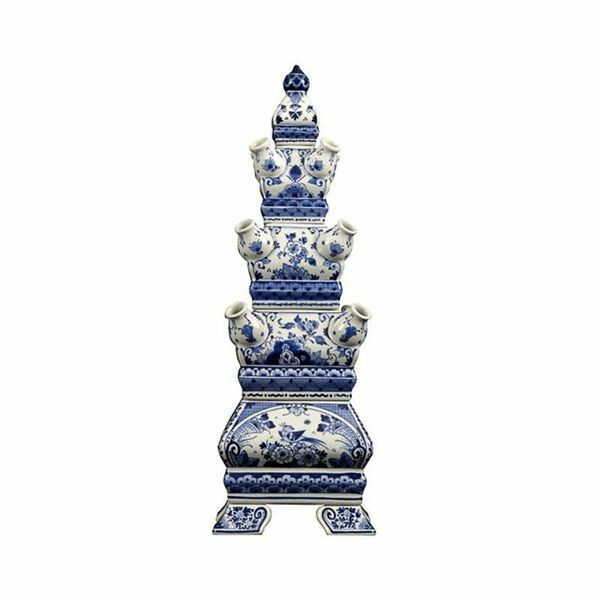 The vases consist of stacks of increasingly smaller elements. 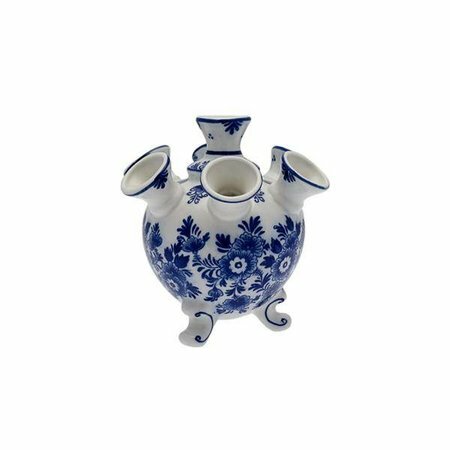 In all the spouts may be positioned flowers. The impressive flower pyramids are made for example of late seventeenth century (royal) pyramids. 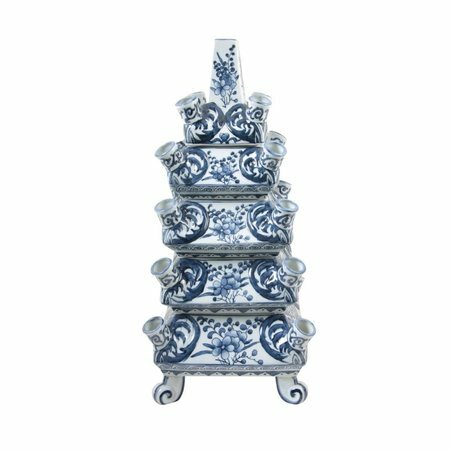 More than 300 years after the first units were developed in Delft blue and white flower pyramid is a renowned national icon with royal allure. 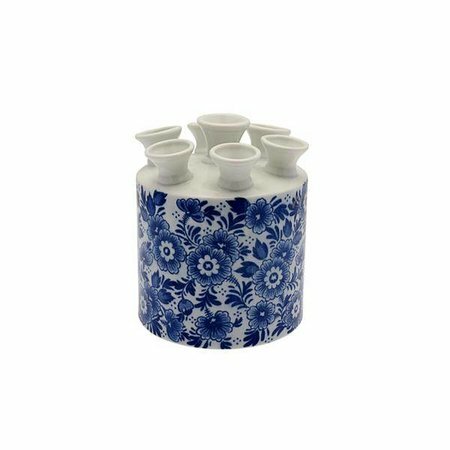 This vase is specially painted for your order, so delivery time is about 10 days. The table pyramid consists of five separate parts.